I originally designed this as a toy, and now I'm sure it would look great hanging on a Christmas tree. 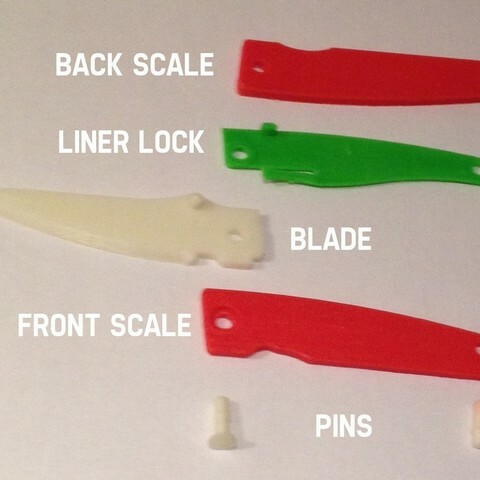 It could even be used to open gifts (if you print the serrated version). 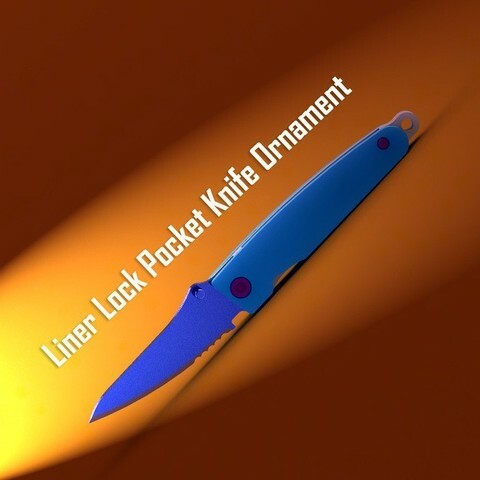 The goal of this project was to create a pocket knife that was able to be 3d printed that utilized a liner lock. Neat proof of concept, no? Knife blade is a drop point. Thumb stud is included on the blade. Cutting surface is roughly 2.7" long. The knfie can easily be opened with one hand and close with one as well. 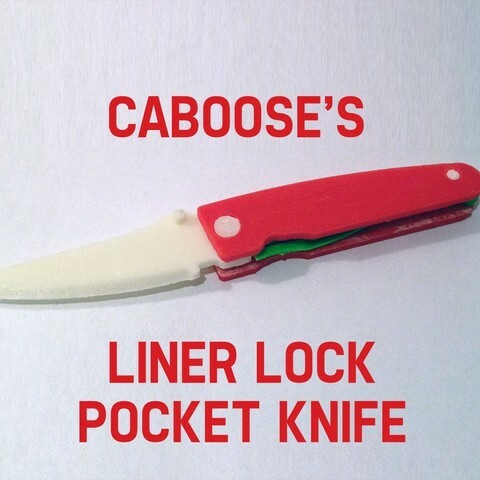 To unlock liner lock, simply push to the side with thumb, just like on a real knife with a liner lock! I have printed this and it works fine. Lockup is solid. Changes in future versions include a lanyard clip as well as different blade profiles (tanto, clip point, straight back). Knife pictured is a version before this release and lacks an extra washer, and some refinement. Regardless, your knife should print fine. Read assembly instructions for more details. Use only for discussion piece or as ornament on a Christmas Tree. I am not responsible for use as a weapon or any other malicious action. Print all parts at 100% infil. All parts do not require support, except the liner. Print the liner with external support and a raft!